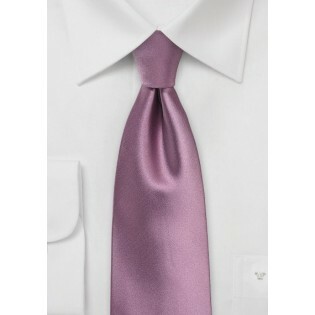 This gorgeous rose colored necktie is of the utmost class and elegance. This is an excellent choice for your wedding as it comes in a matching pocket square and bow tie option. This smooth and slick necktie is an impressive piece. Though best worn for formal occasions, you can also wear this tie to the office or out to dinner without looking overly fancy. 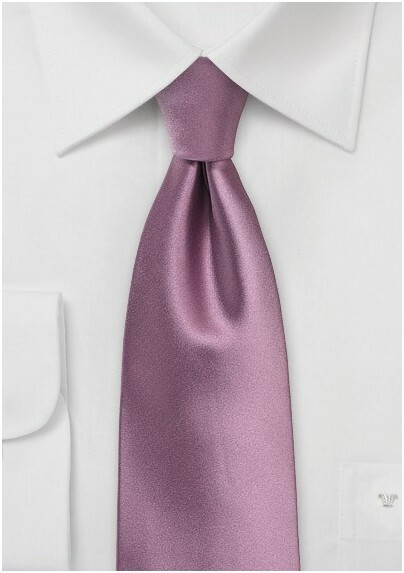 This tie should be worn with a navy or grey suit and a white dress shirt. Pair this tie with its matching pocket square for a completed outfit. Designed by Puccini and made from a care-free microfiber. Tie Length: 58", Width: 3.25"